Diane Hamilton of Binary Formations is back to talk about their latest offering, My Reasons. Available as both a Mac menu bar app and as an iOS App, My Reasons is a habit builder that helps build good habits (or break bad ones) by putting motivational photos and materials front and center on your Mac or iOS device. Automatic tracking of your successes help you see how you are doing and where you need to improve. Diane gives us a demo of the Mac version, explain where the idea for My Reasons came from, and why there are Apple TV and Apple Watch versions. 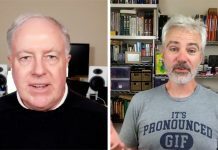 This edition of MacVoices could have been sponsored by you! MacVoices offers competitively priced sponsorship packages that include audio, video, web and email components. To find out more, contact Backbeat Media. 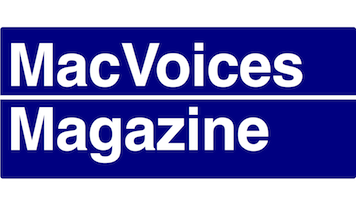 This edition of MacVoices is supported by MacVoices Magazine, our free magazine on Flipboard that helps you do more with your Apple tech. Diane Hamilton is Managing Partner at Binary Formations which she owns with her husband Kevin. 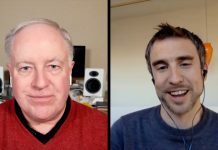 After long careers in enterprise software, the two jumped ship to turn what started as a hobby in 2005 with the first release of Home Inventory into a full-time business designing and developing consumer apps for the Mac, iPhone, and iPad. All their apps start with a need in their own family. You can find Diane on Twitter. Follow Binary Formations on Twitter & Facebook.